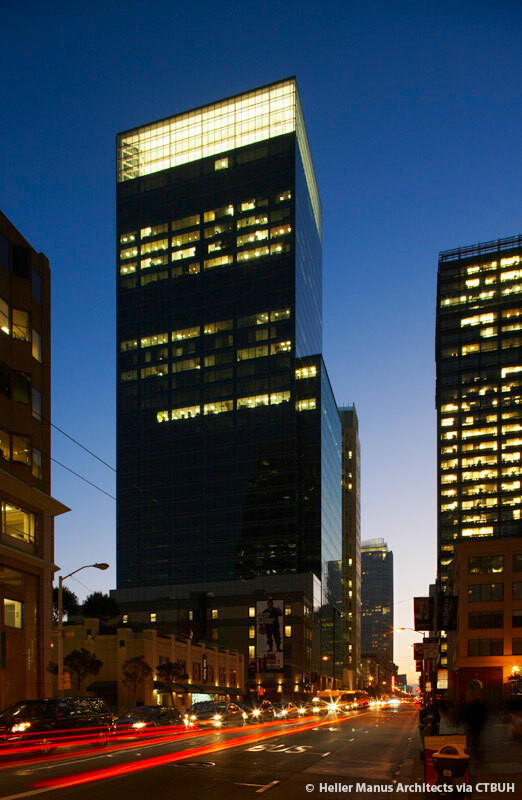 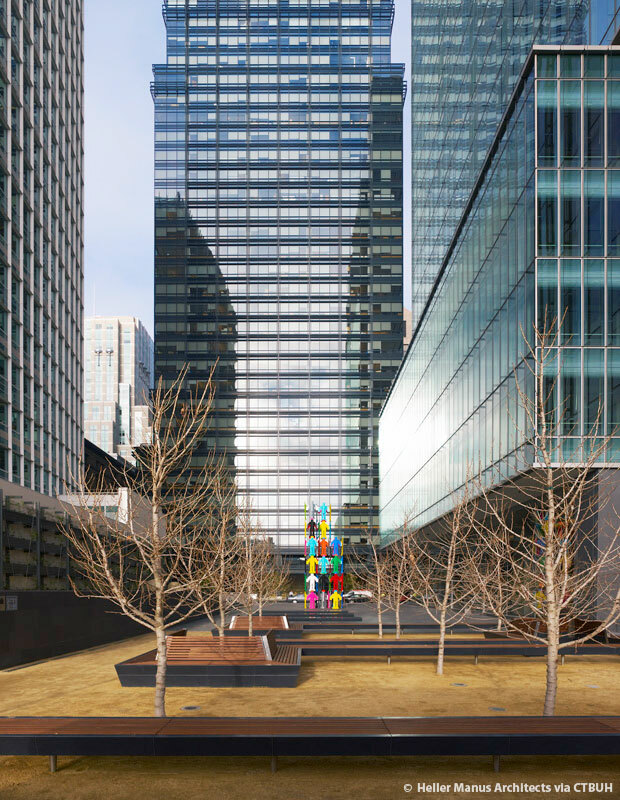 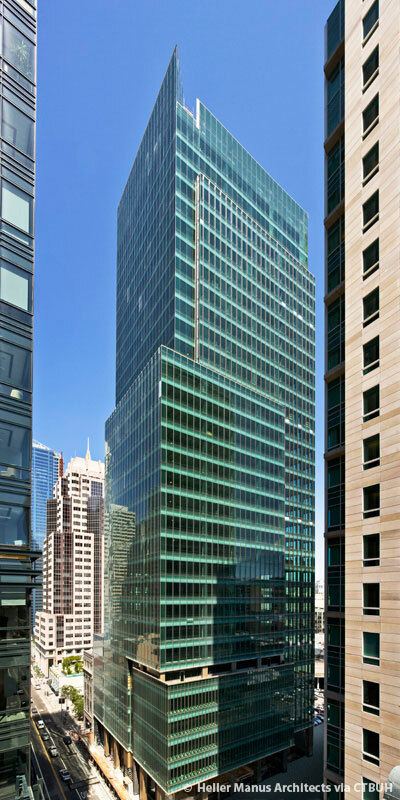 Located in a zone of maximum height and density allowances in San Francisco’s Downtown Plan, 555 Mission is located to enhance the evolving mid-block open space pattern where a checkerboard arrangement of buildings has emerged. 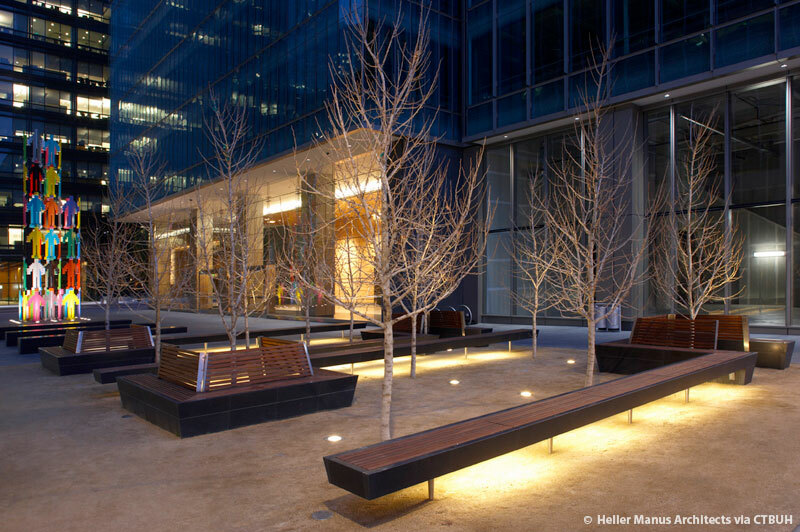 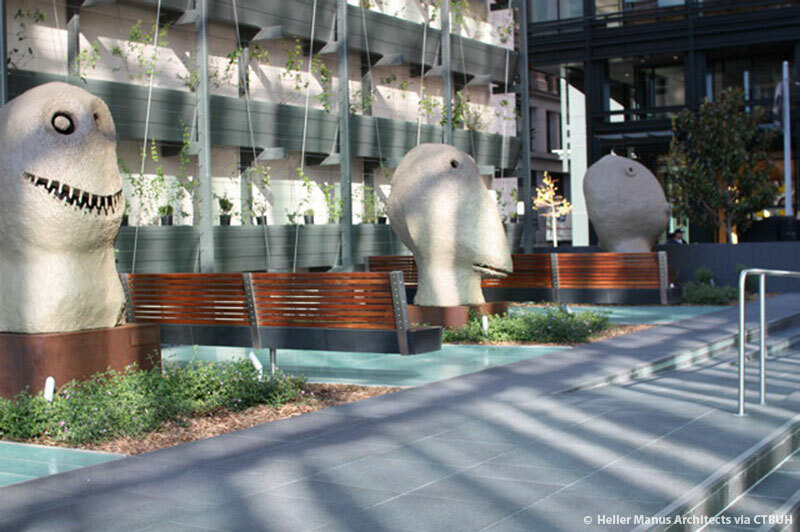 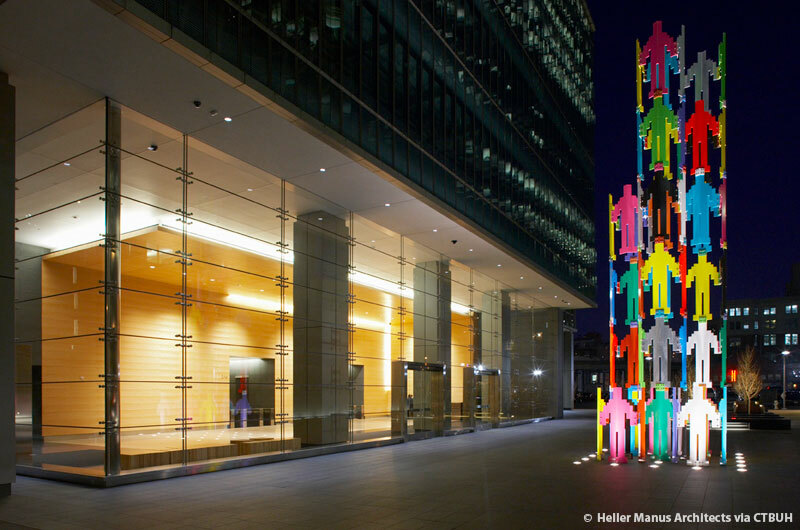 This arrangement maximizes light, air, and public open space opportunities between buildings. 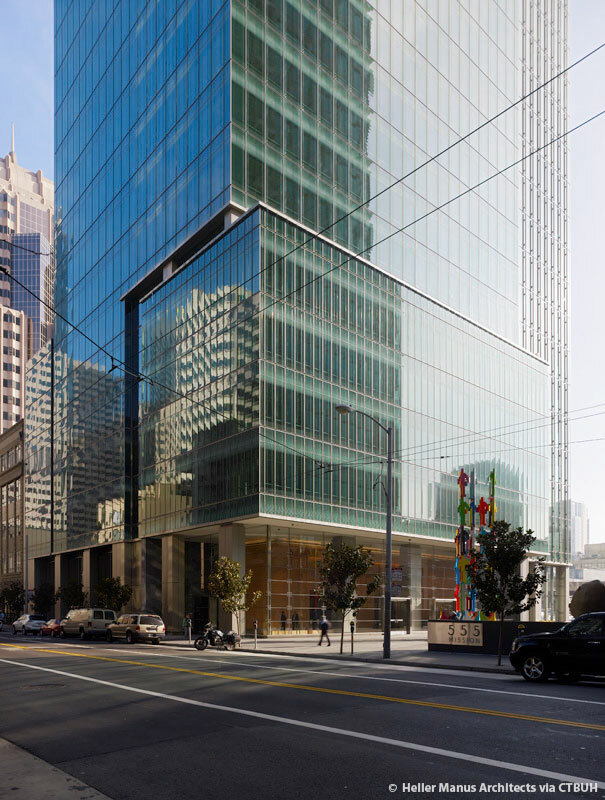 The shape of 555 Mission responds to neighboring structures and the Mission Street corridor by stepping back in the most visible locations, and visually emphasizing verticality and slenderness. 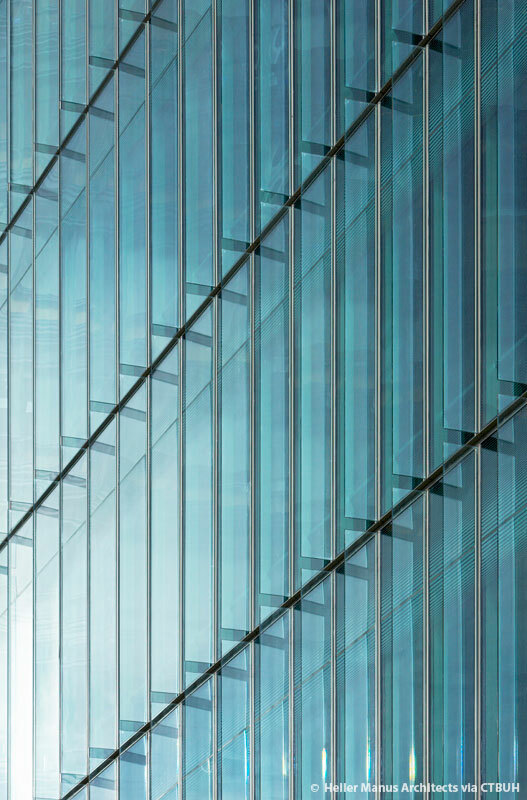 The façade, made entirely of floor-to-ceiling glass panels accented with glass and metal fins, creates a textural layer that captures and reflects light. 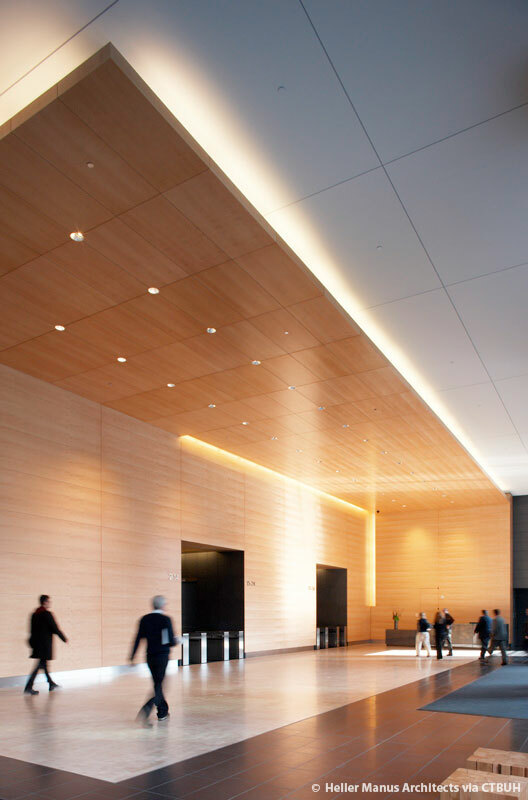 The design team incorporated several green strategies into the project’s design, construction and operations. 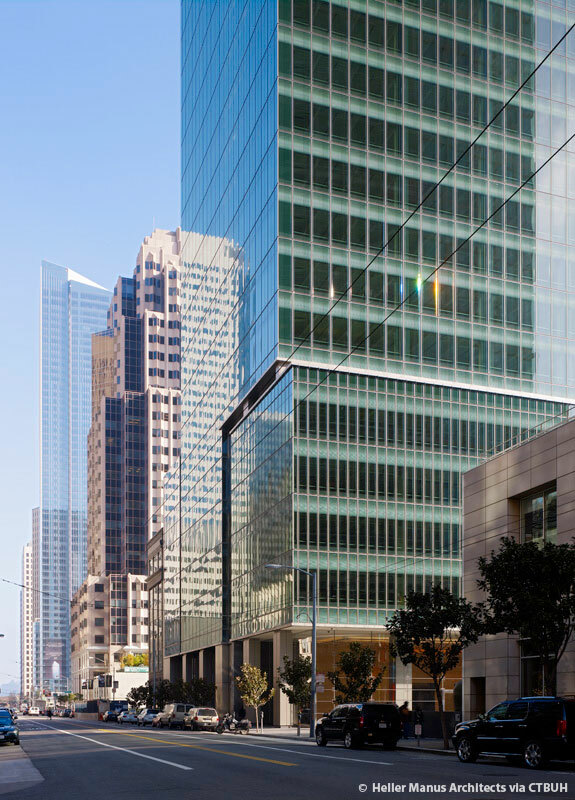 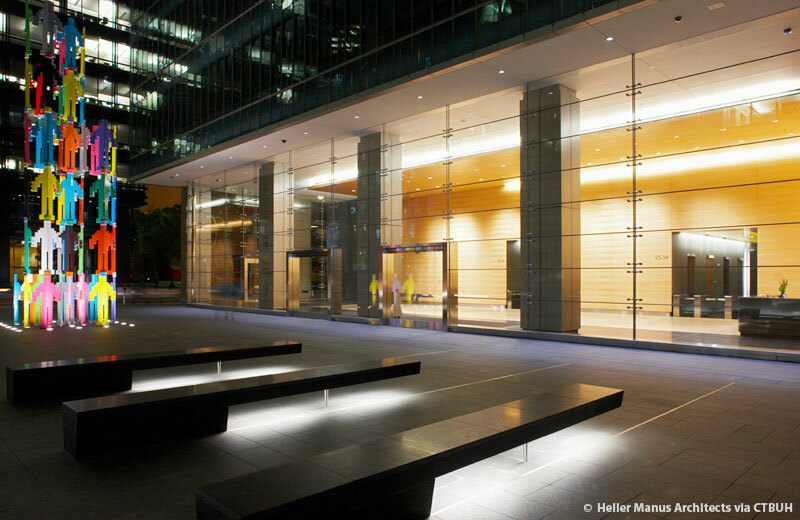 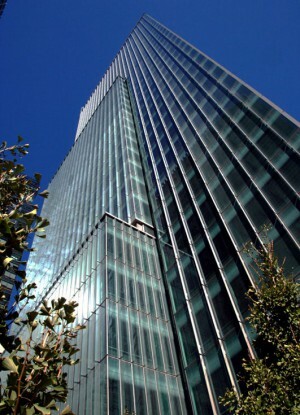 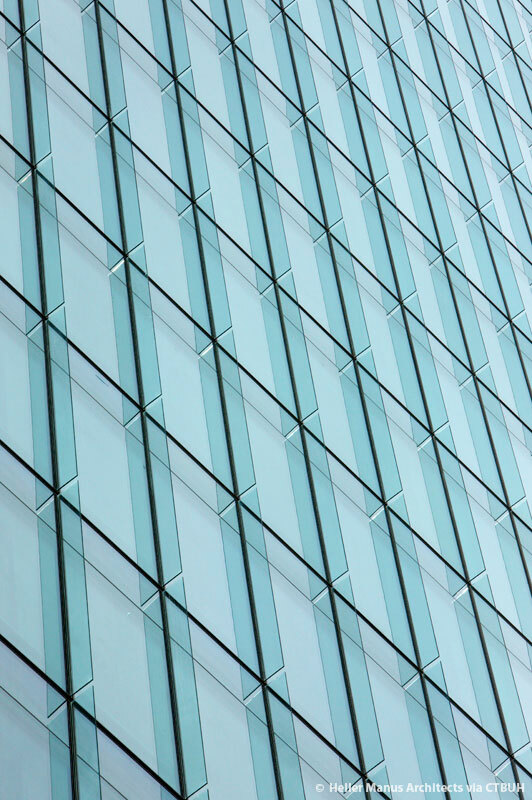 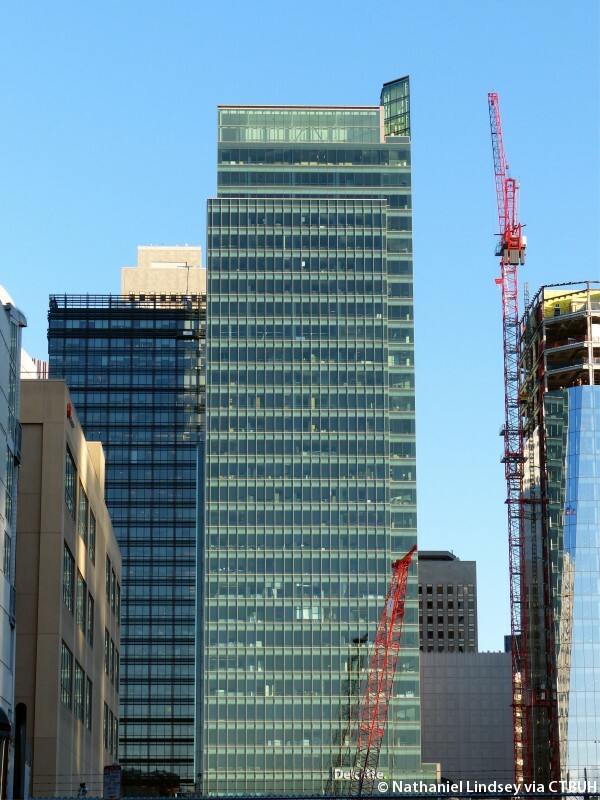 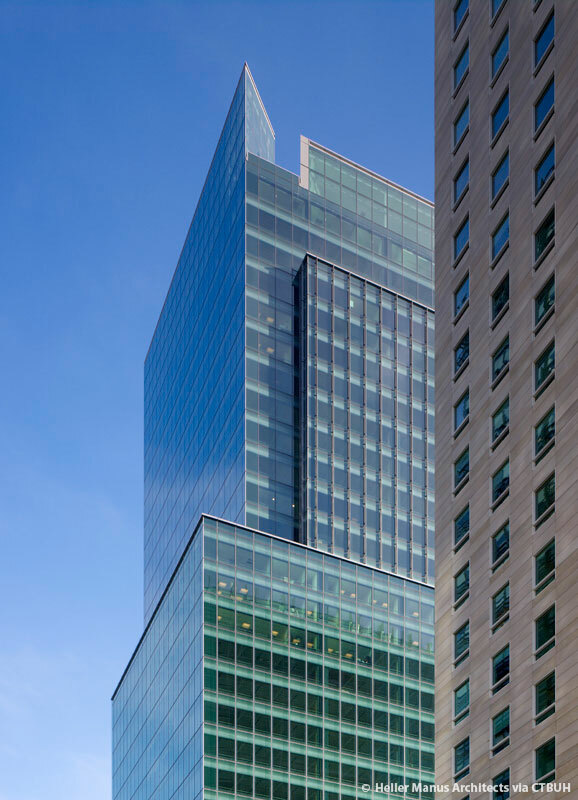 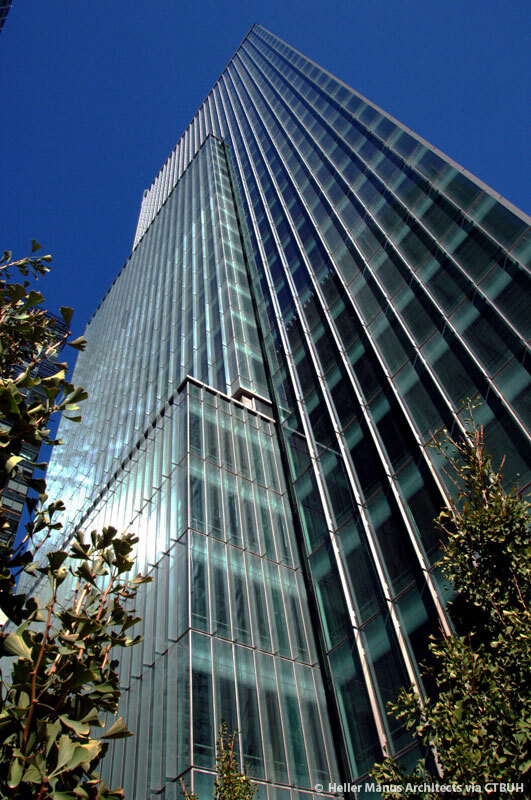 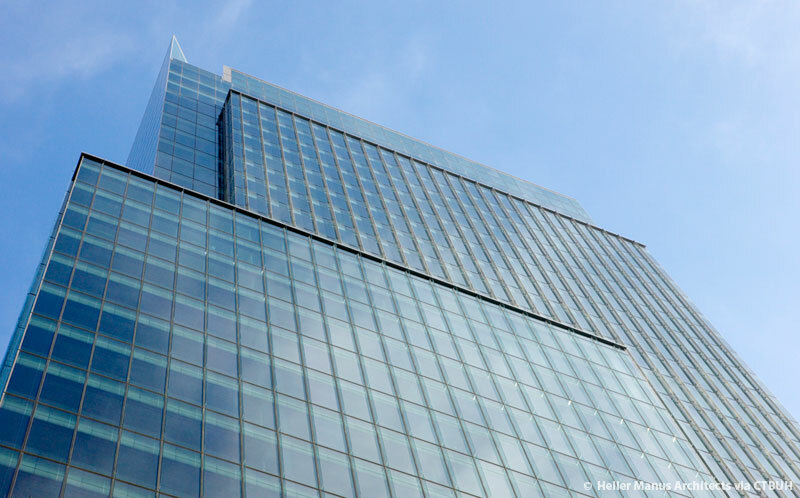 Through the use of high performance glazing and envelope design, an energy savings of up to 7.5% is expected, and as part of the building’s operating policy, a triple waste stream recycling program was established for all building tenants. 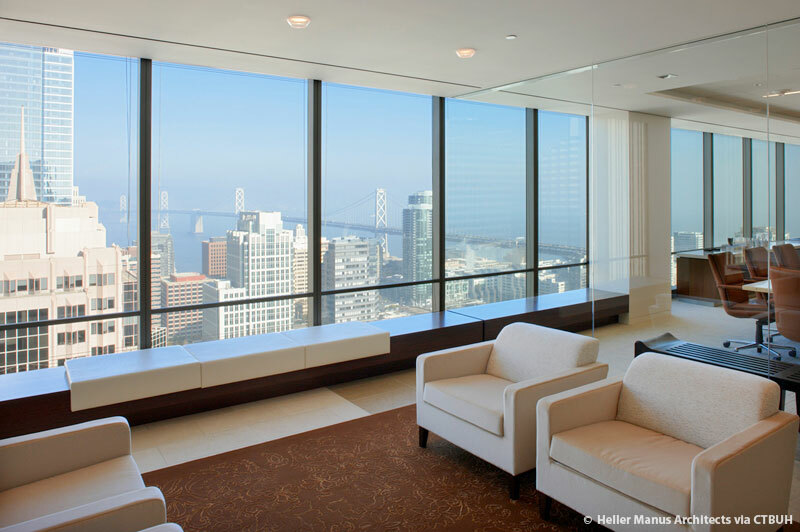 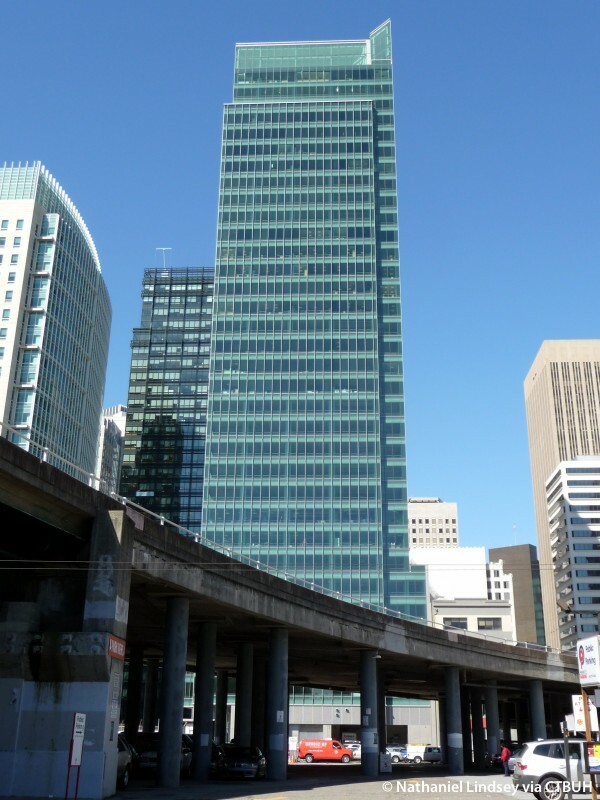 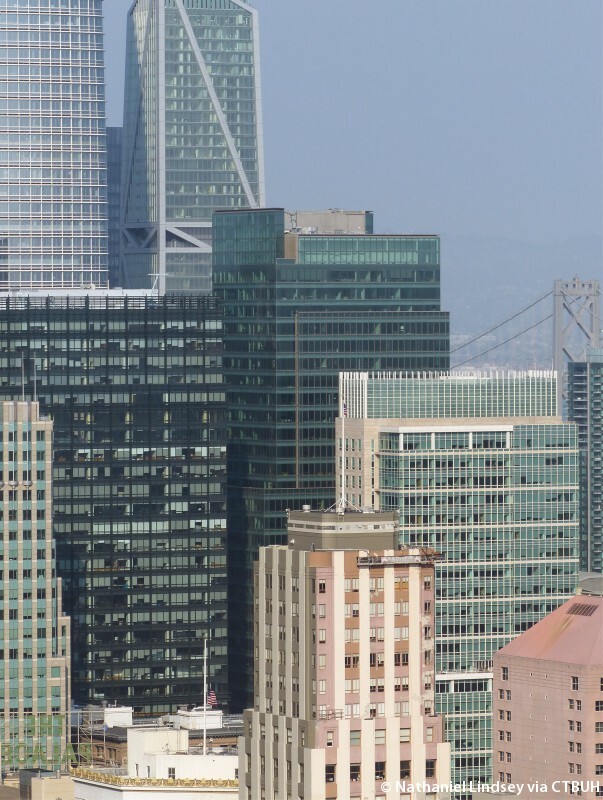 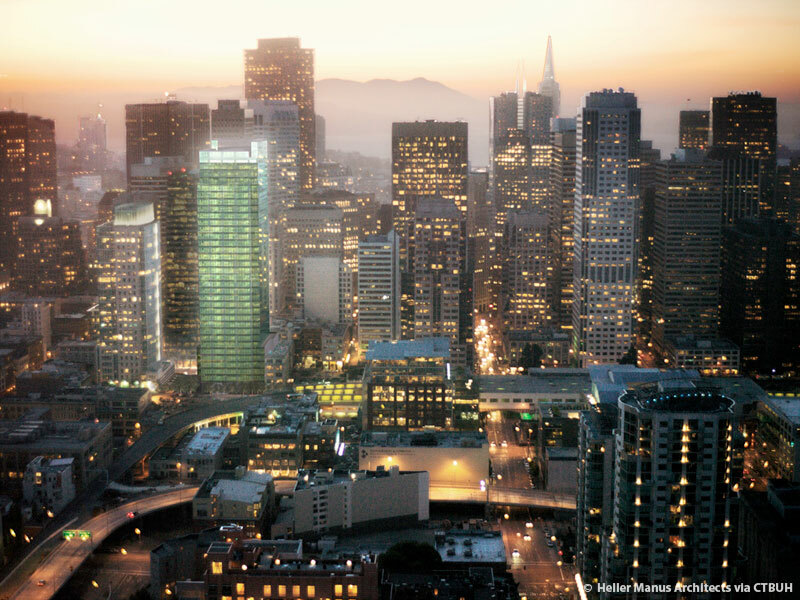 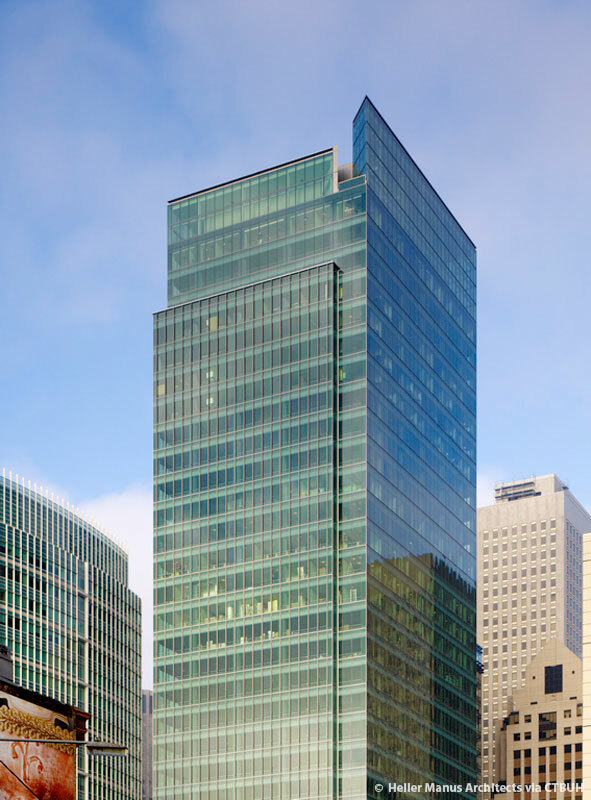 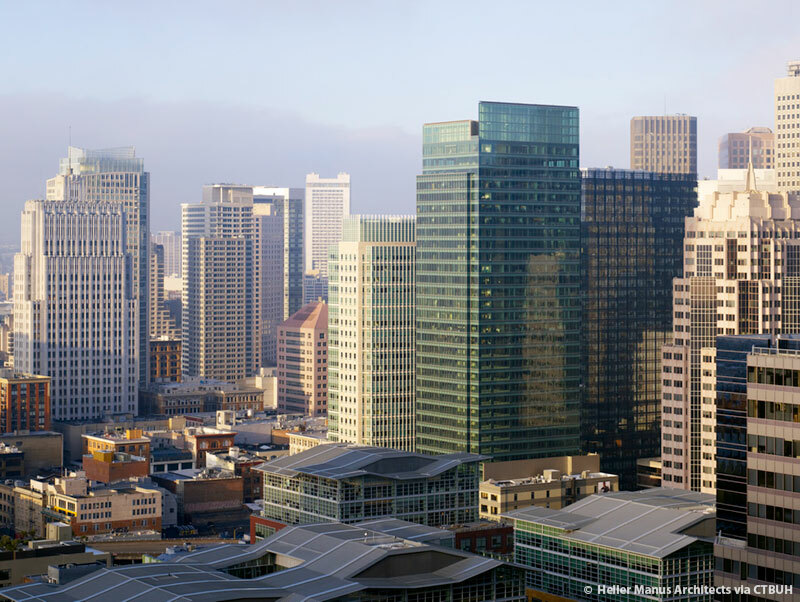 It was one of the ten buildings chosen as San Francisco’s Greenest by the AIA and Mayor Gavin Newsom in 2009.